Olympus TG-860 has been very popular on the market ever since its initial release. Coming at an affordable and budget-friendly price point, the digital camera model also offers attractive features. Most notably, the model offers excellent output quality and a very rugged weatherproof construction. After the success, the manufacturer has also released an update for the model, namely Olympus TG-870. Quite interestingly, Olympus TG-870 is priced only a little bit higher than Olympus TG-860. So, which is the one with the best value for the money? Which is the one that you should choose? 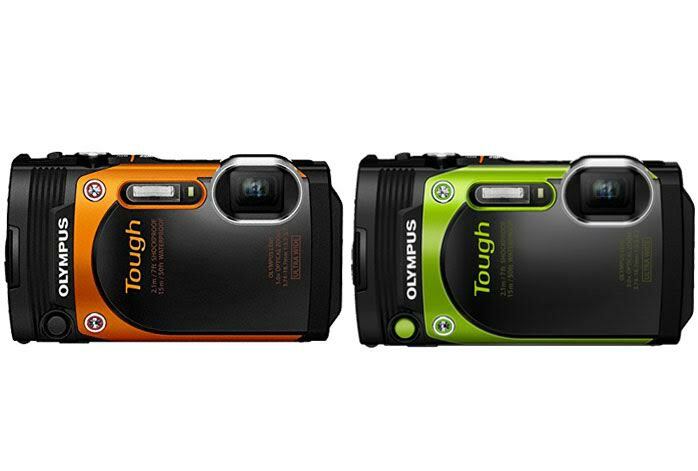 Of course, both Olympus TG-860 and Olympus TG-870 boast tough, weather-sealed construction. You don’t need to worry too much when taking these cameras outside because they have been designed to be able to withstand the abuse of heavy-duty usage and weather or climate conditions. Furthermore, both are very compact and portable. They are roughly of the same size and weight. On the front side, you can find an integrated flash next to the 21mm ultra-wide lens on each camera. On the rear, you can find a 3.0-inch tiltable display screen, which is very handy for taking shots from tricky angles, along with dial control buttons. However, Olympus TG-870’s display screen happens to come with a significantly higher resolution; it is 921k dots, whereas Olympus TG-860’s is only 460k dots. See also : Olympus TG-860 vs. TG-4. Olympus TG-860 and Olympus TG-870 rely on almost similar weapons. They each come equipped with a 21-105mm F/3.5-5.7 zoom lens and a 16MP 1/2.3” CMOS sensor with a built-in image stabilization. In general, both models are able to capture images with decent sharpness and crisp. The colors are full and solid. However, Olympus TG-870 comes with an improved ISO range. While Olympus TG-860 only has an ISO range of 125 – 6,400, Olympus TG-870 offers an ISO range of 125 – 12,800. The increased maximum ISO can be handy for handling various lighting conditions. Both models still record videos in a maximum resolution of 1920 x 1080 and come with 7.0-fps continuous shooting speed. Last but not least, Olympus TG-870 now features built-in GPS, in addition to the built-in Wi-Fi that is already existent in Olympus TG-860. These wireless features allow you to share and stream file wirelessly, as well as to upload and check-in to social media. - Water resistance: The waterproof feature is warranted to operate at depths up to 15 m (49.2 feet) for up to one hour. Finally, Olympus TG-870 indeed comes with better display screen and higher ISO range than Olympus TG-860. Since the price gap is quite marginal, we recommend you to choose Olympus TG-870!